Jill Of All Trades: Gentle Baby Wipes by Himalaya Baby Care. I last spoke about how I was absolutely happy with the Himalaya Baby Oil that contains Olive Oil. Another one of their products that I totally recommend to all new mommies is the wipes. Baby's skin is extremely delicate, soft and prone to rashes if there is the slightest friction and discomfort. Wearing a diaper overnight, sitting in a wet diaper for a long time etc results to rashes. Even using a towel or normal wipes can make the baby's skin agitated and red. I use wipes to clean my baby after he has pooped, whether at home or out. I find wipes very handy and comfortable, and they're the best for the baby too. Though I have used wipes from a few brands, I love the one by Himalaya because they're really really soft, contain aloe vera and the goodness of the Himalaya Baby Lotion. They smell also like the baby lotion and that makes my baby smell all pure and loveable, (The baby smell, as they say). They're moderately priced at Rs.40 for 12 wipes (This makes a great portable option for the diaper bag), Rs. 75 for 24 wipes or Rs.175 for 72 wipes. 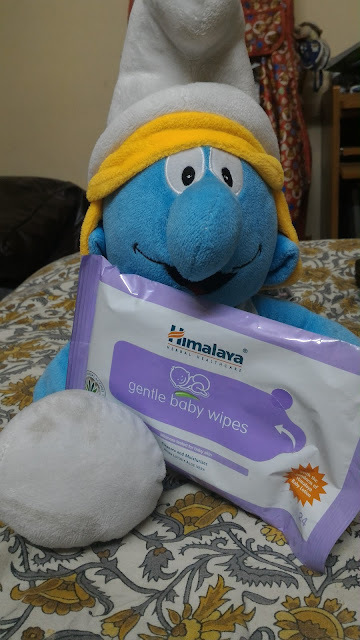 But when it comes to your baby, you definitely want just the best, and these are the best wipes I have come across so far! In a country like India, prosperity consultant mumbai is considered one of the basic requirements while constructing a property or building according to pre-specified principles. It is necessary to follow these principles for wealth, health, fame and prosperity in life. Though it has become difficult to follow each and every principle in the present era, it is important to make maximum use of tenets in order to achieve peace and harmony in life.